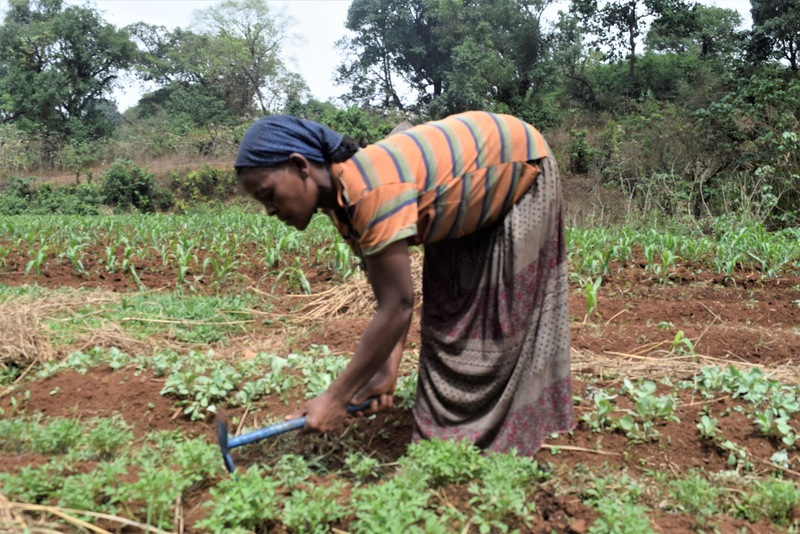 "Ever since I started working with Food for the Hungry (FH), I got the chance to be trained on agricultural practices that I believed would make the best of my farmland that had been idle for ages. "The one that has made a real difference in my life was the training on modern and traditional irrigation. "This year, I worked on onions and tomatoes with the improved seed I got from FH. I was highly more productive than I expected! My family ate them continuously for more than a month. I have also been sharing [my produce] with my relatives on a regular basis. In addition to this home use, I have also been selling the vegetables. My tomatoes sold for more than 450 Birr ($26CAD). With this money I covered all my other expenses. "Above all, I paid my debts back to Oromia credit and saving service providers, which was a great headache to my family for a year. "My family used to be one of the poorest families in the village, but now, we are doing well. I really bless this [training] project for giving me this opportunity, and the donors who provided the resource to make it happen. Thank you!" Ayane is an Ethiopian farmer in Gallo. She and her husband have two sons and one daughter. Ayane has been diligently working with FH Sasiga for the past year and a half in the Mid Highlands.